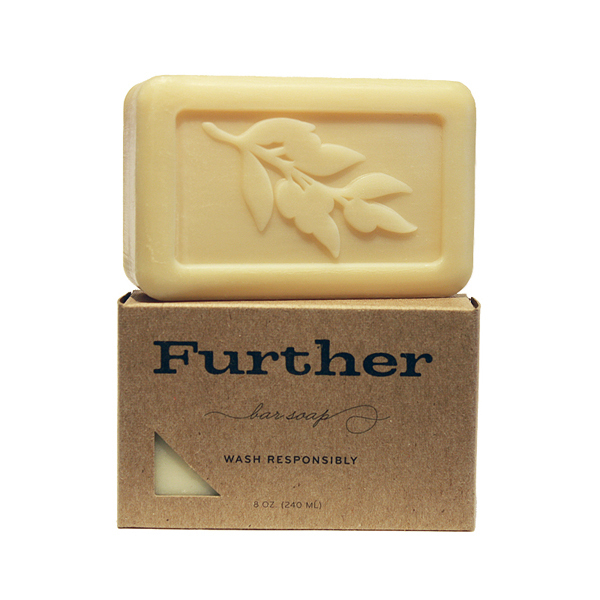 Further Bar Soap will not only leave you amazingly clean, but will lighten your conscience and inspire your soul. It is made from the vegetable glycerin derived from the creation of biofuel. Further bar soap has a signature fragrance made from the oils of bergamot, olive and grasses. Further is biodegradable, and is never tested on animals.